The Israeli Occupation Forces (IOF) arrested Monday evening a Palestinian child when clashes broke out in Beit Umar town north of al-Khalil. Local sources identified the minor detainee as Khaled Baher, 14. Khaled was playing with his friends outside his family house when clashes broke out in the area, the sources added. IOF fired rubber bullets at the group of children and arrested Khaled for allegedly throwing stones during the clashes. Local residents tried to free the child, however; IOF took him in a military jeep to unknown detention center. 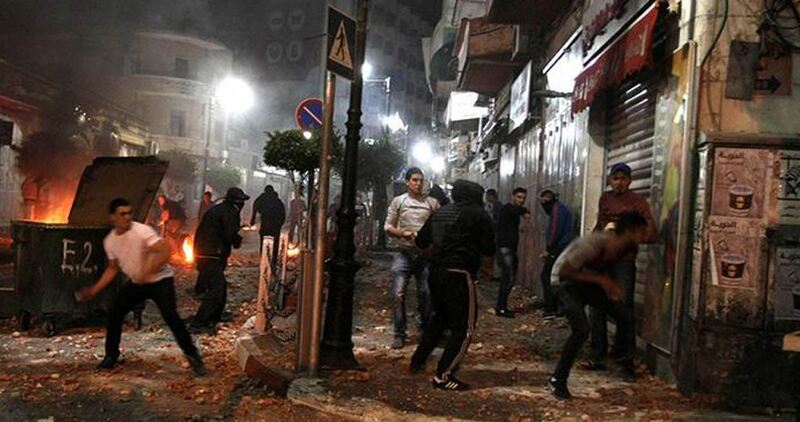 Similar clashes erupted in Seir town north of al-Khalil. Two Palestinian youths were injured by rubber bullets as clashes broke out Monday evening with Israeli Occupation Forces (IOF) in Azzun town east of Qalqiliya. Local sources affirmed that two youngsters were rounded up while another was arrested after being brutally attacked during the confrontations. Three other youths were detained at a military checkpoint east of the town. Large numbers of Israeli Occupation Forces (IOF) raided on Monday morning Qalandiya refugee camp, closed Ramallah-al-Quds Road, and stormed several commercial shops causing damage to their contents. Eyewitnesses told the PIC reporter that IOF soldiers shut down the military barrier adjacent to the refugee camp before occupying the rooftops of nearby houses. According to the PIC reporter, a state of panic prevailed in an UNRWA school in the refugee camp after IOF troops broke into the school and ordered its eviction. IOF soldiers also arrested journalist Mohammad Abu Esba in Qalandiya and confiscated his tools. The Israeli occupation authorities on Sunday evening released four Palestinian fishermen kidnapped earlier in the day off Gaza’s northern seashore. According to local sources, the Israeli authorities released four Gazan fishermen, hours after they were kidnapped from Gaza’s northern coast. The four fishermen are: Fuad al-Sultan, 22, and his 18-year-old brother, Mahmoud, along with Tareq al-Sultan and Mohamed Zayed, both aged 23. The Israeli occupation navy continues to chase down Palestinian fishermen off Gaza’s shoreline, in violation of the Cairo-brokered ceasefire deal struck in the wake of the 2014 Israeli offensive on the besieged coastal enclave. 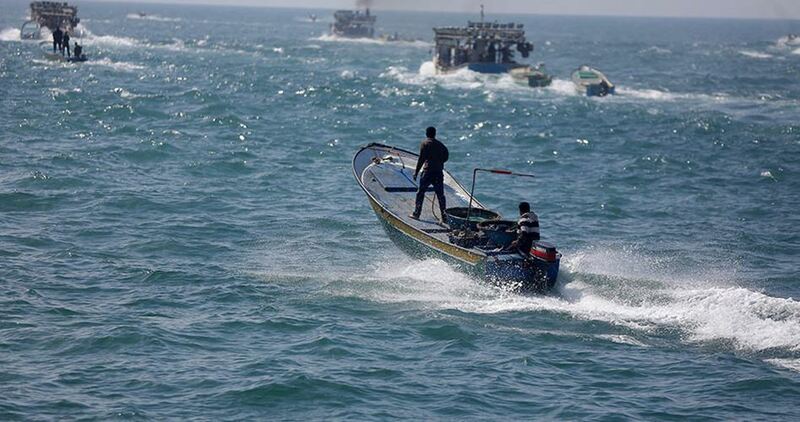 Dozens of fishermen have been left wounded and others kidnapped in several such assaults by the Israeli naval forces. 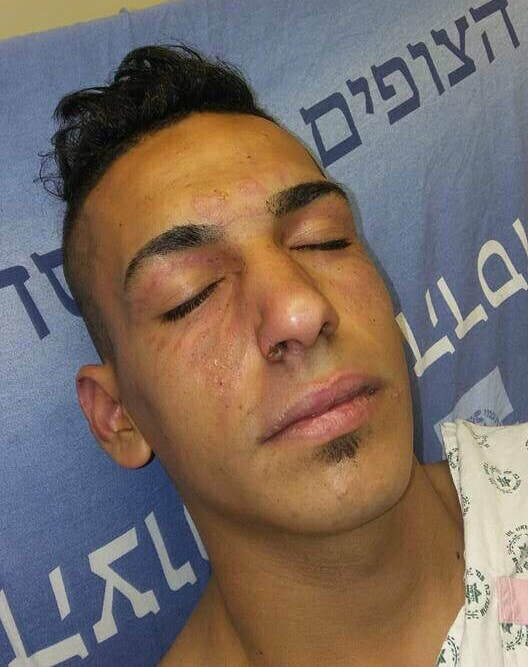 The Israeli police released, on Sunday evening, a Palestinian teenager from the al-‘Isawiya town, in occupied East Jerusalem, after he was interrogated and tortured, under suspicion of throwing Molotov cocktails and stones at army jeeps. 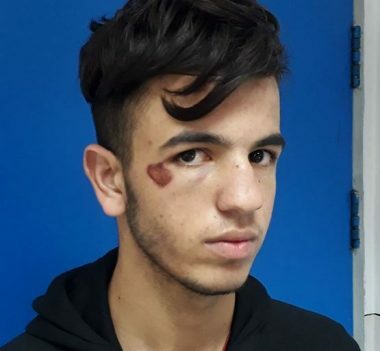 The Palestinian, Mohammad Abdul-Raouf Mahmoud, 18, told the Wadi Hilweh Information Center in Silwan (Silwanic) that the officers and interrogators tortured him in al-Maskobiyya prison. He added that the soldiers also placed him in a waiting cell, after a court hearing this past Friday, before one of them entered it, and started kicking and punching him on several parts of his body, including his face and head, until he lost consciousness. The soldiers then poured water on him, but he remained unconscious, and was later transferred to Hadassah Ein Karem hospital, in Jerusalem. The child was abducted by the soldiers, on Thursday evening, while he was walking in a neighborhood in his town, and was sent to court, Friday, facing allegations of throwing stones and Molotov cocktails at army jeeps, but a court ordered his immediate release, Sunday. Israeli soldiers invaded, on Monday morning, the town of Ya’bad, southwest of the northern West Bank city of Jenin, searched many homes and abducted five Palestinians. 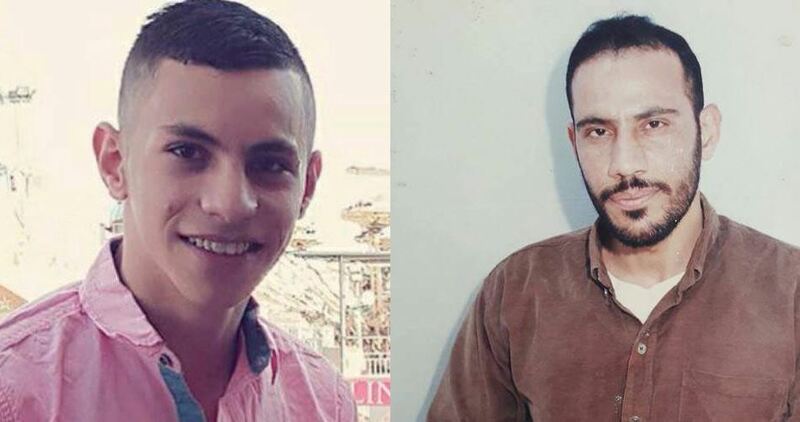 The Jenin office of the Palestinian Prisoners’ Society (PPS) said the soldiers abducted Noureddin Atatra, 27, Saleh Mahmoud Hamarsha, 28, Mahmoud Abdullah Jabr, 24, in addition to two siblings, identified as Forsan, 29, and Ekrima Khaled Amarna, 30. The soldiers also interrogated many Palestinians while inspecting their ID cards during the violent invasions, and searches of homes. Israeli soldiers carried out, overnight until early morning hours Sunday, frequent invasions into the al-‘Isawiya Hizma towns, in occupied East Jerusalem, and abducted three young Palestinian men, in addition to attacking a father and his daughter. The soldiers also invaded al-‘Ezariyya town, and delivered demolition orders against five homes. Media sources in Jerusalem said the soldiers imposed a strict siege on al-‘Isawiya town, and installed a roadblock on its main road, preventing the Palestinians from entering or leaving it without a thorough search of them and their vehicles. 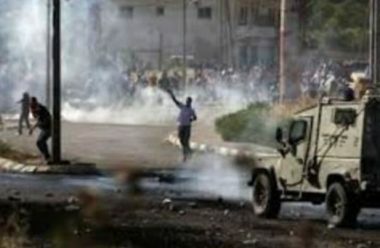 They added that the soldiers have been carrying out frequent invasions and provocative acts in many neighborhoods in al-‘Isawiya, including on Sunday evening and at dawn Monday, an issue that led to clashes between the army and local youngsters, who hurled stones at the military jeeps. Raed Abu Ryala, a member of the Follow-Up Committee in al-‘Isawiya, said the soldiers attacked a celebration, welcoming two political prisoners, identified as Nimir Nasser Mahmoud and Ata Mohammad Dirbas, who were released from Israeli prisons. The soldiers removed Palestinian flags and posters of the two released detainees, in addition to invading a wedding hall at the main entrance of the town, before attacking a man, identified as Yousef Moheisin, and his daughter, causing various cuts and bruises that landed them at a medical center for treatment. Furthermore, the soldiers handed demolition orders targeting five homes in Jabal al-Baba area, in the al-‘Ezariyya town, southeast of Jerusalem. The WAFA Palestinian News Agency said Israel is trying to displace the Palestinians from that area, to prepare for a large colonialist project, which would isolate occupied Jerusalem city from all its surrounding Palestinian communities and towns. In addition, the soldiers invaded homes in Hizma town, northeast of Jerusalem, and abducted a young man, identified as Ishaq Ahmad Jabr. In related news, the soldiers abducted, on Sunday evening, a young man, identified as Mahmoud Abu Jom’a, from the at-Tour neighborhood, overlooking Jerusalem’s Old City, reportedly for involvement in hurling Molotov cocktails at military jeeps. It is worth mentioning that the Israeli army said its soldiers have arrested twelve Palestinians, overnight, in different parts of the West bank, and allegedly located an M16 rifle, near Ramallah, and two pistols near Bethlehem. The army added that three of the Palestinians are teenagers from Kobar village, near Ramallah, who reportedly hurled stones at military jeeps and colonists’ cars. 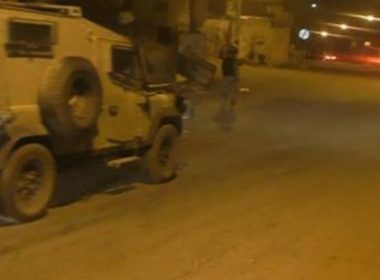 Several Israeli military jeeps invaded, on Monday at dawn, the Jenin refugee camp, in the northern West Bank city of Jenin, and abducted three Palestinians, including two siblings. Many army vehicles also invaded Palestinian farmlands in northern Gaza. 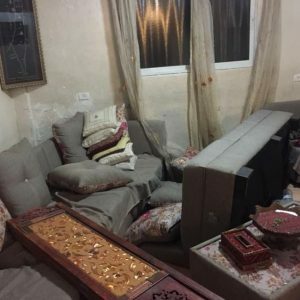 The soldiers invaded and searched several homes, causing damage, and interrogated many Palestinians before kidnapping three. The abducted Palestinians have been identified as Qasam Bassel Jabarin and his brother, Qassem, in addition to Soheib Adnan al-Ghoul. Also at dawn, several military vehicles, and armored bulldozers, advanced dozens of meters into Palestinian farmlands, in Beit Lahia, in the northern part of the Gaza Strip. Eyewitnesses said the soldiers bulldozed sections on the invaded lands, close to the border fence, and installed sand hills, while military drones flew overhead. The soldiers also fired several live rounds at random, and withdrew later. Israeli police on Sunday evening arrested three Palestinian youths near Bab al-Sahira and stormed al-Isawiya town in Occupied Jerusalem. Eyewitnesses reported that the three Jerusalemites were taken to a detention center belonging to the border guards department in the area. Meanwhile, violent clashes broke out between Palestinian youths and the Israeli police forces who raided al-Isawiya town in the center of Jerusalem amid heavy firing of sound bombs and tear gas canisters, according to eyewitnesses. Earlier in the day, the Israeli police erected a military checkpoint on the western entrance to al-Isawiya and started searching the Palestinian citizens' vehicles causing a big traffic jam. The family of the Palestinian prisoner, Rajab al-Tahan, on Sunday called on international and local human rights organizations to pressure Israel to allow Tahan to visit his son Majd who is currently going through a critical health condition. The family explained that Majd al-Tahan, who is suffering from leukemia, has undergone a failed bone marrow transplant, adding that Majd is now in a very serious condition lying in the intensive care unit at a 1948 occupied Palestine hospital. They pointed out that Rajab, who was re-arrested following his release in the Wafa al-Ahrar prisoner exchange deal, is serving a life sentence in Nafha prison and is in deep grief because of his inability to see his son who may die at any moment. Rajab al-Tahan, 49, is a resident of Ras al-Amud neighborhood in Occupied Jerusalem. He was arrested and sentenced to life imprisonment in 1998 for being a member of the Qassam Brigades, the armed wing of Hamas Movement. 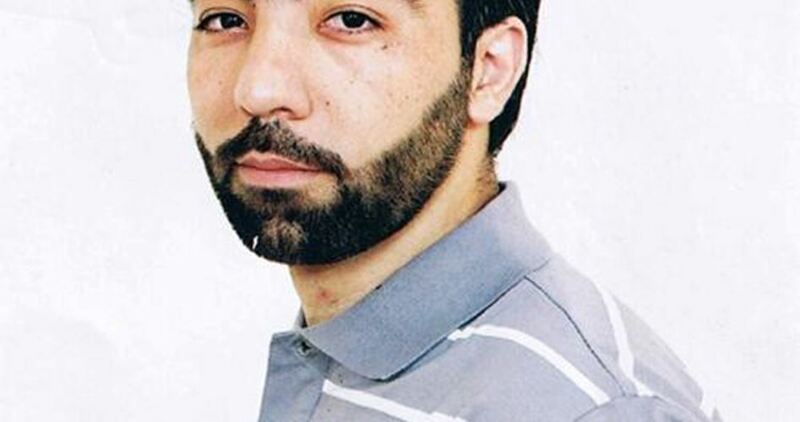 After serving 13 years in Israeli jails, Tahan was released in the 2011 Wafa al-Ahrar deal, and less than three years later, he was re-arrested along with other prisoners released in the same deal. Tahan's family affirmed that they have requested the Israel Prison Service (IPS) to allow him to visit his son but received no response yet. They appealed to all human rights organizations to pressure the IPS to let Tahan visit his sick son. Palestinian prisoner Ashraf Zgheira, from Occupied Jerusalem, has been held in Israeli jails for 16 years running. 39-year-old Zgheira was kidnapped by the Israeli occupation forces on October 14, 2002, and had been subject to harsh investigation sessions over allegations of giving lifts to anti-occupation attackers and being affiliated with Ezzedine al-Qassam Brigades, Hamas’ armed wing. An Israeli court sentenced him to six life-imprisonment terms. Zgheira’s reputation both inside and outside Israeli bars has been marked by a sense of self-negation, optimism, cooperation, courage, dynamism, and intellectual vitality. He had become a close companion of the anti-occupation leader Maysara Abu Hamdiyeh prior to his death in the Israeli Eshel jail. A fashion designer, Zgheira earned a bachelor’s degree from the Open University of Israel. He is currently incarcerated in the Nafha desert penitentiary. 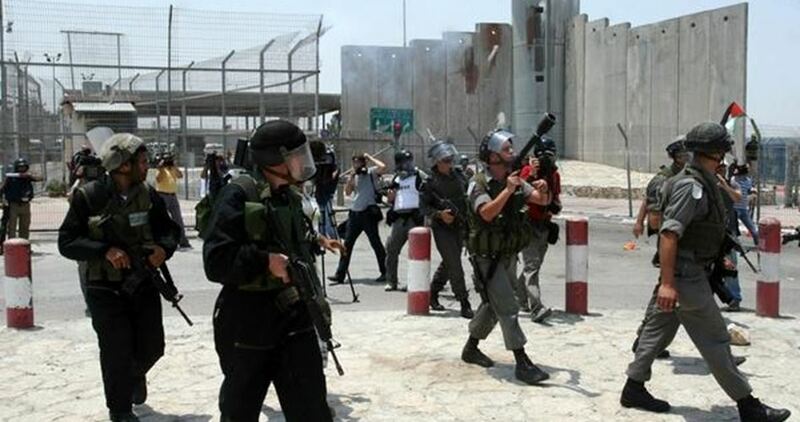 Dozens of Israeli soldiers invaded, on Sunday at dawn, the Deheishe refugee camp, south of the West Bank city of Bethlehem, and clashed with many youngsters, before injuring one Palestinian, and abducted another from his home. Media sources said the soldiers fired many live rounds, gas bombs and concussion grenades, after invading the refugee camp, while many local youngsters hurled stones and empty bottles at them. They added that a young man was shot with a live round in his leg, before local medics rushed him to a hospital in Bethlehem. Furthermore, the soldiers invaded and violently searched several homes, and abducted Odai Mustafa al-Khmour, 20. The Palestinian Prisoners’ Society (PPS) has reported that Israeli soldiers abducted, on Sunday at dawn, fourteen Palestinians from their homes, in various parts of the occupied West Bank. One child was also abducted in Jerusalem. The Hebron office of the PPS, in the southern part of the West Bank, said the soldiers stormed and ransacked homes in different parts of the governorate, and abducted five Palestinians identified as former political prisoner Mohammad Mahmoud Sleibi, 32, in addition to Abdul-Rahman Ismail Awad, Rashid Ismail Abu Hadid, Mos’ab Sweity and Samer Dajjani. In Jenin, in northern West Bank, the soldiers abducted four Palestinians, identified as Abdul-Qader Ahmad Abu ar-Rob, 16, Hamza Mohammad Abu ar-Rob, 20, Bassel Mohammad Abu Zeid, 22, and As’ad Abu ar-Rob, 21, all from Qabatia town, south of Jenin. In addition, the soldiers abducted two Palestinians, identified as Amer Atef Abu Alia, 18, and Ehab Salama Abu Alia, 22, from the al-Mughayer town, and Mohammad Rashid Barghouthi, from ‘Aboud. 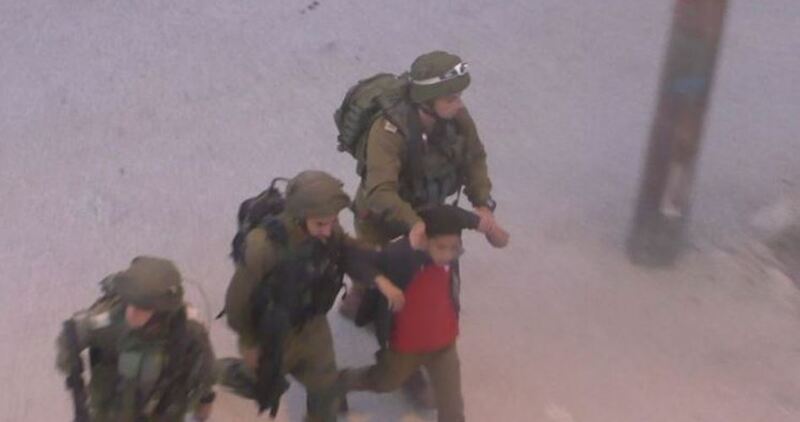 Israeli soldiers abducted, on Sunday morning, a Palestinian child, in the Old City of occupied East Jerusalem. The Wadi Hilweh Information Center in Silwan (Silwanic) said the soldiers abducted the child near the Rashidiyya School, close to the Sahera Gate (Herod’s Gate). It added that the soldiers cuffed the child, who remained unidentified at the time of this report, and took him to an integration center in Jerusalem. 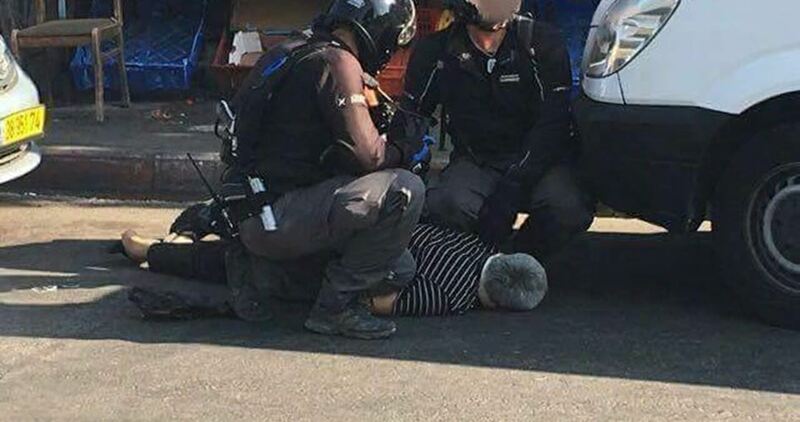 In related news, an Israeli court in Jerusalem ordered a Palestinian, identified as Rami al-Fakhouri, who was recently abducted, under further interrogation until October 22nd. 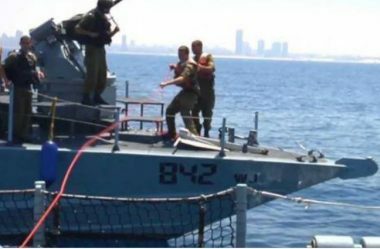 Israeli navy ships attacked, on Sunday morning, several Palestinian fishing boats, in the Sudaniyya Sea area, northwest of Gaza City, fired many live rounds at them, and abducted four fishermen. The WAFA Palestinian News Agency has reported that the navy fired dozens of live rounds at the boats, while were fishing less than four nautical miles from the shore, and boarded two. It added that the navy abducted four fishermen, who were on the boarded boats, and took them to Ashdod port. The attack is part of frequent Israeli violations against the Palestinians in the impoverished and besieged Gaza Strip. Such attacks have led to dozens of casualties, including many fatalities, in addition to resulting in scores of injuries, the destruction of boats and property, and the illegal confiscation on fishing boats. In May of this year, a fisherman, identified as Mohammad Majed Bakr, 25, was killed by live Israeli navy fire, after the navy ships fired dozens of rounds at fishing boats less than four nautical miles from the Gaza shore. Israeli occupation forces abducted, on Saturday night, 11 Palestinians in the occupied West Bank and East Jerusalem, including one boy. 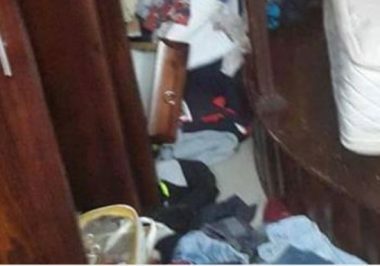 The Palestinian Prisoners Society (PPS) reported the abductions following raids of different Palestinian areas across the occupied West Bank and Jerusalem. According to the PPS, Israeli occupation forces which raided the city of Jenin, in the north of the occupied West Bank, took the 16-year-old Palestinian by Qasem abu-Baker. Israeli raids in Palestinian towns, villages, and refugee camps are a daily occurrence in the occupied West Bank and East Jerusalem. 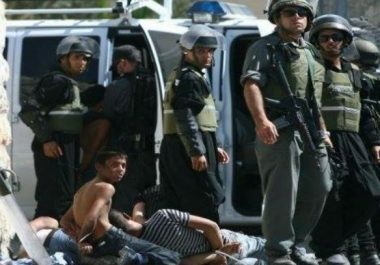 According to United Nations documentation, Israeli occupation forces conducted 121 search and arrest operations across the West Bank and abducted 205 Palestinians, including nine children, between September 26 and October 9. Rights groups say that there are 6,500 Palestinian prisoners inside the Israeli jails, including 350 children and 57 women and girls.